In today’s world of superfoods, fad diets and workout crazes, potential solutions for those struggling with weight issues are everywhere. The only problem is that most of these “solutions” are expensive and involve some weird-tasting drinks or awkward movements. How many infomercials have you seen touting a workout machine (that requires some ridiculously painful-looking contortion) for three easy payments of $59.99? The truth is, many of these weight loss techniques are great, but only if you first focus on one much more important aspect of your health. The best part about this one aspect? It’s a lot easier than eating seaweed or doing a side bend. So what is this utopian, so-easy-anyone-can-do-it cure-all for weight loss? Drink more water. Yes, it’s that simple. How does drinking water help with weight issues? Grant shares that many of us are simply mistaking our thirst for hunger. An empty stomach often indicates hunger, but in many cases, it’s actually asking for more water. Learning to recognize this can result in some immediate results. “You may notice your food consumption goes down as you drink more water and eat water-based foods such as fruits, vegetables, legumes or water-based healthy soups,” Grant said. Simple, right? No need for a fancy DVD or a $300 weekly grocery bill. The first step to losing weight is much easier. If it’s so easy, though, why don’t more people just drink water? Why don’t we see more commercials for water? There’s several reasons – one is obvious and the other is more subconscious. The first is that drinking more water than usual results in more trips to the restroom than usual. This is a completely valid concern – no one likes running off to the restroom every half hour. Is it really that bad, however, considering the payoff? If it helps with pesky weight issues, wouldn’t you rather make a few extra trips to the john? If nothing else, at least it gives you some extra exercise (optimism is also important)! There’s another reason more people don’t turn to water for their weight loss issues, but this one is a little less obvious. We buy into fad diets and buy exotic workout machines because they are different. Our minds are hard-wired to search for new solutions when it doesn’t seem like anything we’re currently doing is helping. Thus, the weirder and more exotic the solution, the more our mind is attracted to it. Now that you’re convinced, let’s discuss how much water is enough. I’m sure you’ve heard the classic “eight 8-ounce glasses a day” rule. While following this memorable plan will certainly be better than drinking nothing, it is much too simplified. Grant argues that the average person needs 80 ounces of water a day, without physical activity, perspiration or a variety of other factors. You actually need even more water if you’re active, on medication, or you drink coffee or alcohol. Bottoms up, folks. For more information on effective routes to losing weight naturally and keeping it off, check out The Hungry Heart’s brand new Free Video Counseling series. Grant and her talented team have been helping men and women with their emotional eating and weight issues since 1996. Before you increase your water intake significantly, though, you should be aware of the possible contaminants lurking in your home’s tap water. This entry was posted in Diet, Drinking Water, Tap Water, Water for beauty, Weight Loss and tagged diet, drinking water, emotional eating, water, water filtration, water weight loss, weight loss on September 8, 2014 by Adam. 1. It’s the key to life. Water is absolutely essential to the human body’s survival. A person can live for about a month without food, but only about a week without water. 2. It keeps you slim. Water helps to maintain healthy body weight by increasing metabolism and regulating appetite. 3. It wakes you up. Water leads to increased energy levels. The most common cause of daytime fatigue is actually mild dehydration. 4. It can make you live longer. Drinking adequate amounts of water can decrease the risk of certain types of cancers, including colon cancer, bladder cancer, and breast cancer. 5. It takes away pain. 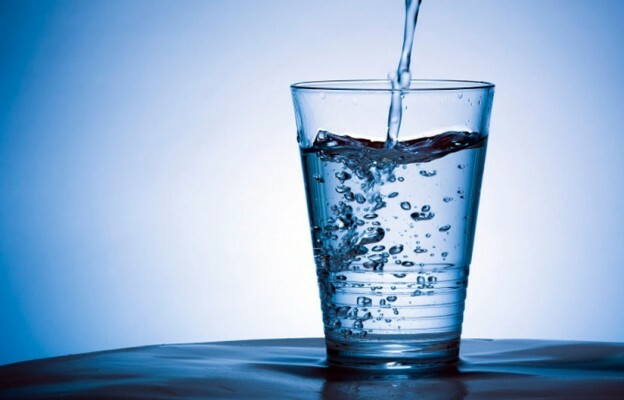 For a majority of sufferers, drinking water can significantly reduce joint and/or back pain. 6. It detoxifies your body. Water leads to overall greater health by flushing out wastes and bacteria that can cause disease. 7. It makes you feel better. Water can prevent and alleviate headaches. 8. It makes you look younger. Water naturally moisturizes skin and ensures proper cellular formation underneath layers of skin to give it a healthy, glowing appearance. 9. It makes your regular. Water aids in the digestion process and prevents constipation. This entry was posted in Dehydration, Drinking Water, Tap Water and tagged diet, drinking water, health, pain, water, weight on July 31, 2014 by Drink H2O. Staying hydrated is important, especially during the heat of summer. Even if you drink a lot of water, though, other factors might be working against you. If you’re under a lot of stress, the adrenal glands that pump out stress hormones become exhausted, causing dehydration and low electrolyte levels. While upping fluid intake can help, limiting stressors is the best long-term solution. 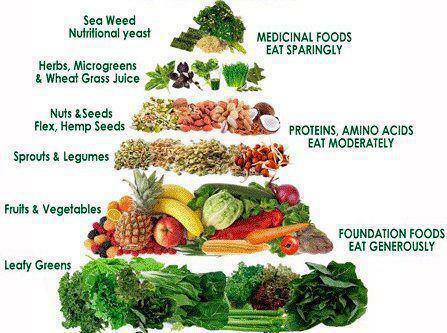 If you don’t eat enough fruits and vegetables, you’re not getting the water they bring along with them. Fill up half your plate at each meal with produce — it could give you an extra cup of water a day. Some prescription medications can cause dehydration as a side effect. Many medications act as diuretics, which increase urine output and a risk of dehydration. Eliminating carbs from your diet can decrease the number on a scale, but it could lead to dehydration, too. Carbs such as oatmeal, whole grain pasta and brown rice soak up water during the cooking process, which can increase hydration levels. Any type of workout can lead to dehydration. 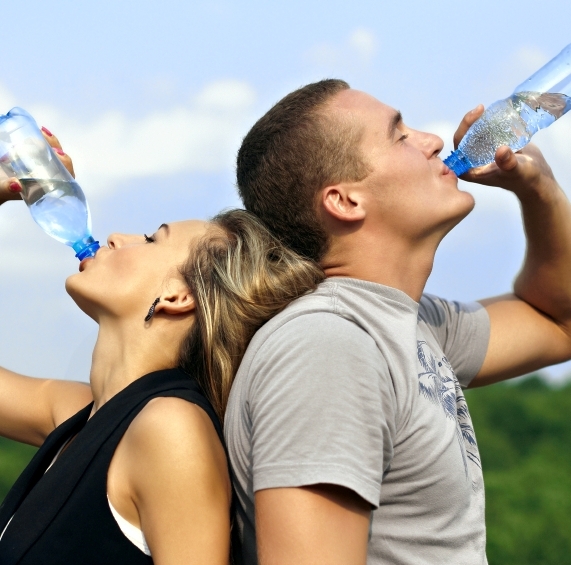 If you are sweating out more than you are drinking water, there is a risk of dehydration. Health.com says to weigh yourself before and after exercise and for every pound lost, drink 16 to 20 ounces of water. Taking certain kinds of dietary supplements can send you to the bathroom more often, causing a loss of fluids. To combat dehydration, speak with a nutritionist or doctor about any potential side effects. As you age, it gets harder to stay hydrated and harder to tell whether you’re really thirsty. Keep a bottle of water near you at all times and, each day, keep a running total of how much you’ve consumed. This entry was posted in Dehydration and tagged age, carbohydrates, carbs, dehydration, diet, dietary supplements, drinking water, heat, hot, old, prescription medications, stress, summer, workout on July 14, 2014 by Drink H2O.